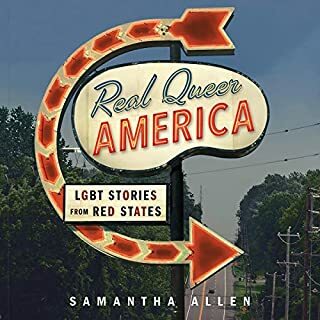 In Real Queer America, Samantha Allen takes us on a cross-country road-trip stretching all the way from Provo, Utah to the Rio Grande Valley to the Bible Belt to the Deep South. Her motto for the trip: "Something gay every day." Making pit stops at drag shows, political rallies, and hubs of queer life across the heartland, she introduces us to scores of extraordinary LGBT people working for change, from the first openly transgender mayor in Texas history to the manager of the only queer night club in Bloomington, Indiana, and many more. Boys Keep Swinging Swings with Soul! From longtime activist Cleve Jones, here is a sweeping, beautifully written memoir about a full and remarkable American life. Jones brings to life the magnetic spell cast by 1970s San Francisco, the drama and heartbreak of the AIDS crisis and the vibrant generation of gay men lost to it, and his activist work on labor, immigration, and gay rights, which continues today. It's a Blue Whale! Oh, Mary don"t ask! This hilarious part memoir, part manifesto reveals what sets apart the latest generation of young people coming of age in an all-wired, overeducated, and underemployed world. People are obsessed with Ryan O'Connell's blogs. With tens of thousands reading his pieces on Thought Catalog and Vice, watching his videos on YouTube, and hanging on to each and every #dark tweet, Ryan has established himself as a unique young voice who's not afraid to dole out some real talk. 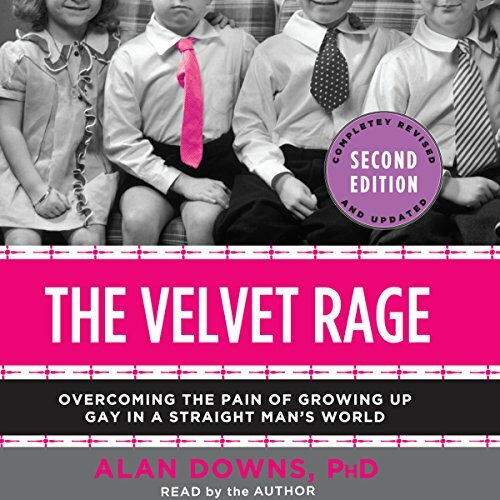 Drawing on contemporary psychological research, the author’s own journey, and the stories of many of his friends and clients, Velvet Rage addresses the myth of gay pride and outlines three stages to emotional well-being for gay men. The revised and expanded edition covers issues related to gay marriage, a broader range of examples that extend beyond middle-class gay men in America, and expansion of the original discussion on living authentically as a gay man. Would you listen to The Velvet Rage again? Why? There was quite a bit of information presented, and I think listening to it again might help me access more of it. The inclusion of anecdotes really helped me relate my own life to the issues described in the book. Chapter 14, where he talked about life skills. If you could give The Velvet Rage a new subtitle, what would it be? An owner's manual for the gay life. Would you consider the audio edition of The Velvet Rage to be better than the print version? Yes - I enjoyed Alan Downs reading his own words. There are subtleties in his voice that add significance. How much I can relate to the struggle and the potential for growth he offers. Have you listened to any of Alan Downs’s other performances before? How does this one compare? I haven't. This is the first. Probably the first chapters where he discusses shame, its origins and manifestations etc. I'd never though about my own shame in those terms before. Very helpful! Really worth the read, guys. Alan's tone and approach is heartwarming with its message of hope. This message is presented without flourish. This made the content less entertaining but far more personal and moving. I am grateful for the wisdom shared and have already begun to share some of it with my friends. I recommend the book to every gay person wishing to understand more about their emotional world and to everyone else for the same reason. A little understanding can only help and this book has much to share. If you could sum up The Velvet Rage in three words, what would they be? 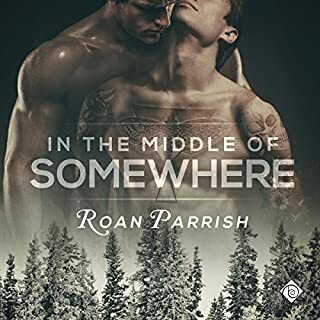 This book offers a clear perspective on the life of gay men and the challenges we face dealing with the way our lives feel need to be and how they should be. 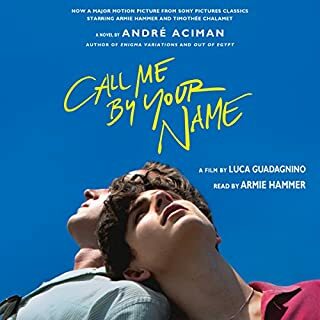 The perspective really resonates with me and made me sit back and think about how much the shame and expectations of gay life impacted and continue to impact me. Worth every minute of listening pleasure. What was one of the most memorable moments of The Velvet Rage? One thing - dont pass up that man who may not be perfect because you pass up the chance to meet an amazing person. What about Alan Downs’s performance did you like? Very easy to listen to very easy to enjoy. Haven't read the printed version but ordered it so I could highlight specific portions. Having both wouldn't be a bad idea. How closely it related to me. YES!!! Although I didn't have the time to I listened as much as possible. And I have to remember that what others think of me is none of my business..
A MUST read for every gay man. I first read this book after a particularly painful breakup in 2007. I was definitely a solid phase 2. Seven years later I find myself reading this book again nursing another broken heart. This time I found myself teetering on the brink of three. The ending chapters of this book were like a warning showing me exactly what I was doing, as I was beginning to foreclose on authenticity. Thank you Alan for writing this book!!! Some good ideas. But it feels often like the writer believes all gay men have the same problems. He doesn't seem to think any gay man can grow up without being ashamed. 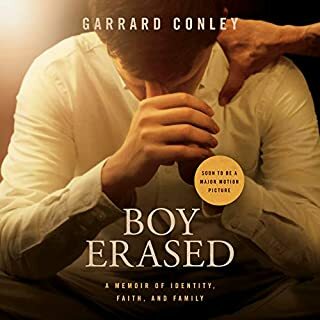 I've already recommended this book to some of my friends as well as family members who need guidance and a further insight into the injustice that gay men face in this world. I highly recommend this book for any gay man. Period. This book provided a catalyst for me to move on in my life and the courage to seek help to do so. Gay men of older generation and those of the upper class might perhaps more identify with what life the author profiles. As a private psychologist, he obviously only sees highly paying patients. But even then, I question the sweeping statements made by the author of what he thinks is typical for gay men. What was most disappointing about Alan Downs’s story? 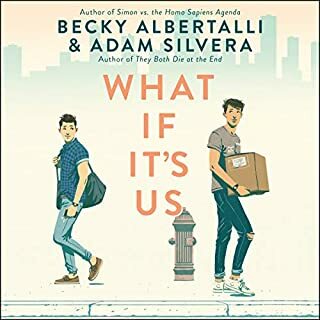 I thought this would be a book that guides one to how to cope better with various fates that being gay seems to attract but instead it seems that the author wallows in misery and 2/3 through the book I feel worse about being gay than before. The demographic Alan Downs celebrates throughout his pages, are very rich A list gay men. 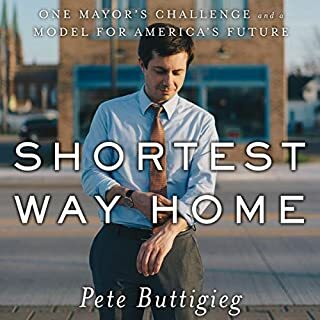 He talks about shame, but manages to shame many readers with the 'normality' of their lives that are nothing like his consulting room in Santa Fe! Frustrating generalisations about gay life, no discussion on gender aspects, differences, diversity and though interesting and some good theory, just too insipid and American at times! For a British audience and worldwide audience and for many in America, the assumption of the 'prevalence' of the Pink Pound and snobbery is hard to bear at points. No ending, but the model though based on CBT is interesting, but seems to get twisted for an American audience. If based on mindfulness, I've listened to far better CBT/ mindfulness based books. Yes a lot of the stereotypes are true and are brave, but it all seems a little glib and boastful. Yes, despite it flaws a good listen, but at moments irksome and hard to identify with. Nevertheless an important book to make your mind up over. Amazing book, thank u for writing it, i wish you the best, all gay men should read it twice! This book was first written in a different time. This is a new edition but has failed to gather insight from recent research, from beyond the USA and relies heavily on anecdotal evidence of one therapists experience. It is dense with generalisations - often assertions for the mass based on individual cases, grandiose and absolute statements and hyperbole. I can hold these aberrations, but I would warn younger people learning about sexuality to seek more balanced and high quality literature in their quest. I enjoy this book for it honesty. Thanks for sharing this story. All gay men can identity with many elements of The Velvet Rage and take away some home truths worth exploring. The changes and adaptation for leading the best possible life I don't think just apply to gay men but the author I think chose the stay on the safe side and say his recommendation is to apply this to them as the research carried out men. If your gay, you need this. I loved this. It was interesting the whole way through. And there is invaluable advise you can cherish for years to come. It can be tough being gay, but it doesn't have to be. I always had a feeling there was something wrong with me. Something missing. This book validates and highlights that thing that was missing. I hope all the best to anyone that gets this book. And that they work to find the peace they deserve. A must read to understand highs, lows and how to find happiness in a tough world. This book changed my life. I was recommended this book by my partner who constantly quotes it and used to drive me crazy with the quotes. Now I see why. Alan is incredibly honest and genuine, every word he wrote is very relatable. I’ll be honest in the beginning it was a bit hard to swallow, but when I looked back I placed the real me into this book and learned it’s not wrong but just things that are blocking me from being happy. It is possible to be happy, and this book did not only help with that but inspired me to spread it. I would recommend this book to any gay boy, or family member or friend of a gay boy. It doesn’t matter if you are gay or straight this book will open your eyes to the world day boys grow up in. The struggle is real. And that’s the t.
I listened to this because I am trying to be an active and knowledgeable LGBTI+ Ally but what I actually got from this was much more. I gained some insight into hardships gay men face that I don't but I also gained insight into myself. I don't think any person could listen to this and not be struck by how similar our problems are no matter how we identify and honestly I look around me and see so many others struggling with their journey to find their authentic selves. Worth a listen for sure. this book came to me at a point in my life where i desperately needed guidance and understanding. i was entering “phase 3” as the book labels it. being able to understand what i had just gone through and see a way forward has been one of the most valuable things to happen in my life! thank you! Good advice with dubious overreach. There's some fantastic advice about healing your life in this book. To get to it, you have to get through chapters and chapters of pretty risible assertions. Get used to the phrase "toxic shame" because you'll be hearing it over and over, and it's to blame for everything from drug use and promiscuity to wit and artistic excellence. I'm sure Dr Downs didn't mean to throw out the baby with the bath water, and I'm sure he's only referring to the more extreme aspects of gay life, but he sure sounds like my parents condemning homosexuality as a whole. Start with the epic prologue, read the moving epilogue, then the useful final chapter. Hit the rest with caution. Amazing book on gay men emotional stages and growth. If you ever wondered why we, gay men, are the way we are, there are some good insights here.